The super stable all round kite for everyone, the Argo 2015 is ideal for beginners to pro, wave riders, free ride and freestyle. 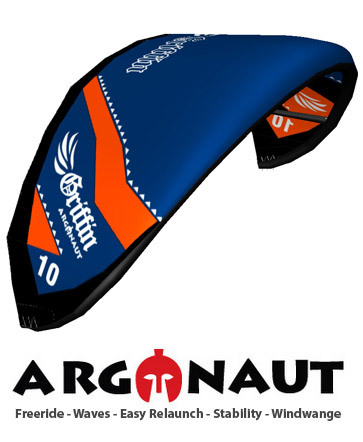 The curved leading edge, reflex pulley bridle and 4 strut design make the 2015 Argo the most stable, easy to relaunch, gust friendly massive wind range kite available. Independent reviews of the Argo state that the Argo is "The kite for everyone". The Argo is your choice for a user friendly all round kite, freestyle high jumps and kite looping, wave riding and free ride. 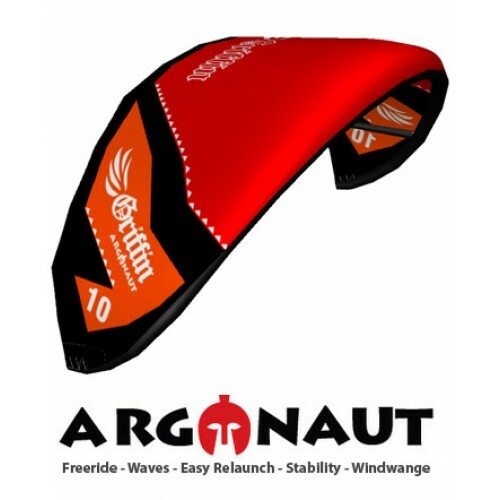 Wave, free ride, and freestyle rider this kite offers huge lofty floaty jumps, unhooked stability, awesome wave riding and drift with quick depower and fast controlled turns for upwind and down the line wave riding. Drift down the line, or launch with masive height and float and pull a kite loop, the argo does it all. The Argo is the most learning friendly kite avalable with hands free assisted re-launch, super stability massive depower and huge wind range. This design allows an easy pull in the bar park and ride for upwind cruising and downwind drift. 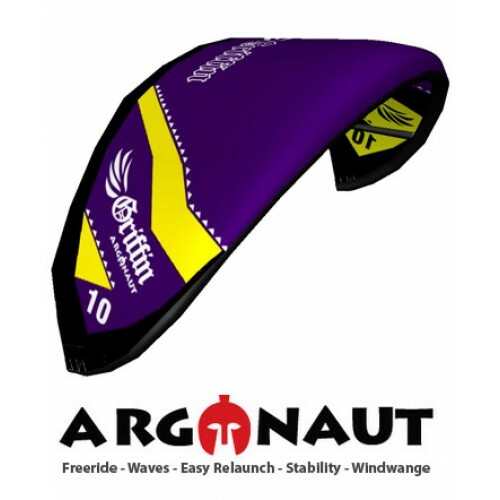 Beginners and learners progress much faster on the Argonaut because of its ease of relaunch and stability. The incredibly durable workmanship guarantees that this kite will handle the beatings that most beginners put their kites through as they advance in their skills. All Riding Styles, Wave ride and drift better than most wave kites, boost and float better than most high aspect kites, Unhook and kiteloop better than most freestyle kites. Schools, beginners, intermediate and advanced riders of all styles, free ride, freestyle, wave riding. Offers big boosts and float, kite loops, and unhooked performance. This grunty responsive kite has excellent depower and wind range.